A couple of weeks ago, I was sent some beautiful flowers from Bloom & Wild and have never seen such a stunning bunch as these. I was blown away by how big they were and the quality was amazing, I am in awe of the whole idea behind Bloom & Wild and cannot believe I have only just heard about them. 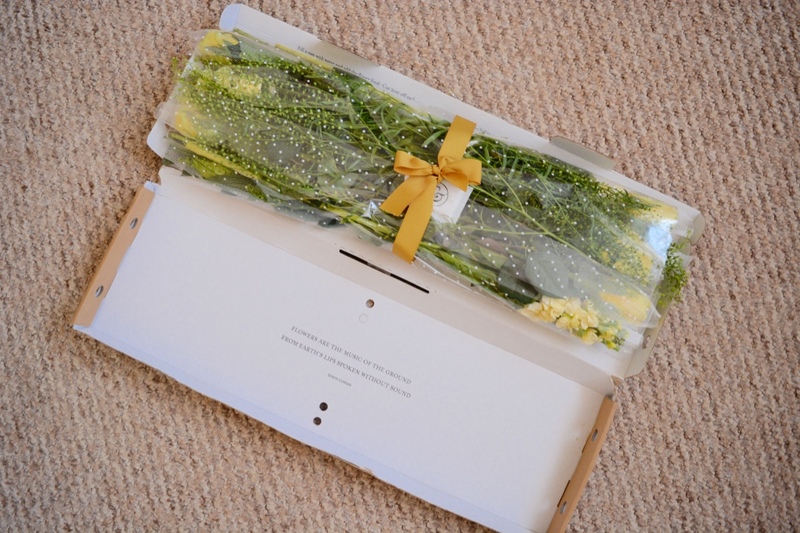 The concept behind Bloom & Wild is letterbox flower deliveries, so forget the pesky days of having to be in to receive your flowers or going to fetch them from your neighbours. These simply come through your letterbox, free of any hassle or stress. I was so excited to receive my flowers in the post and couldn't wait to see which bunch I had been sent, they all looked so pretty online. There is honestly a bouquet of flowers for everyone, they have such a variety and all look lovely. 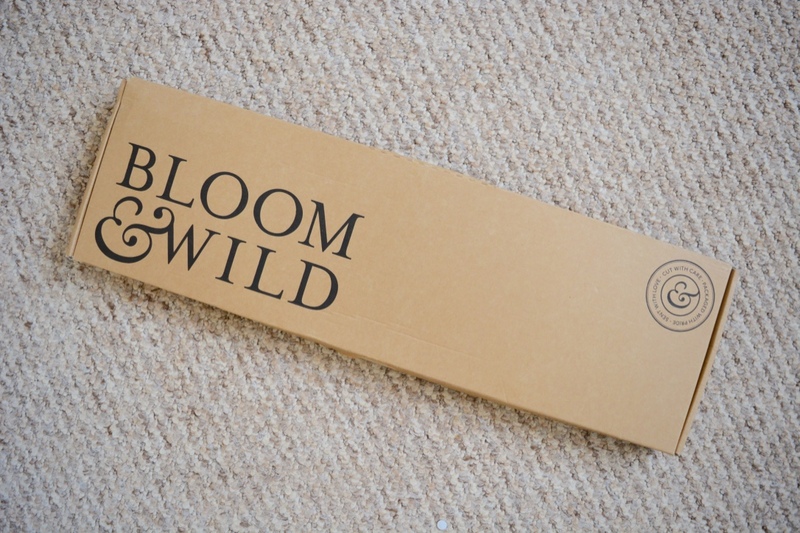 I have to admit I was a little bit dubious about how a whole bouquet of flowers would fit in a box without damaging the flowers, however, Bloom & Wild have got it down to a tee. The flowers had plastic netting around them to protect the petals and ensure they don't get torn or look worse for wear. The packaging is simple and elegant, it makes for the perfect gift for a loved one. They presentation of it all is lovely and the quote adds an extra touch that makes it even more special. My quote as seen above, said "Flowers are the music of the ground, From earth's lips spoken without a sound." I received The Milly and it added the perfect touch of Spring to my front room, brightening it up even on those dark and gloomy rainy days. 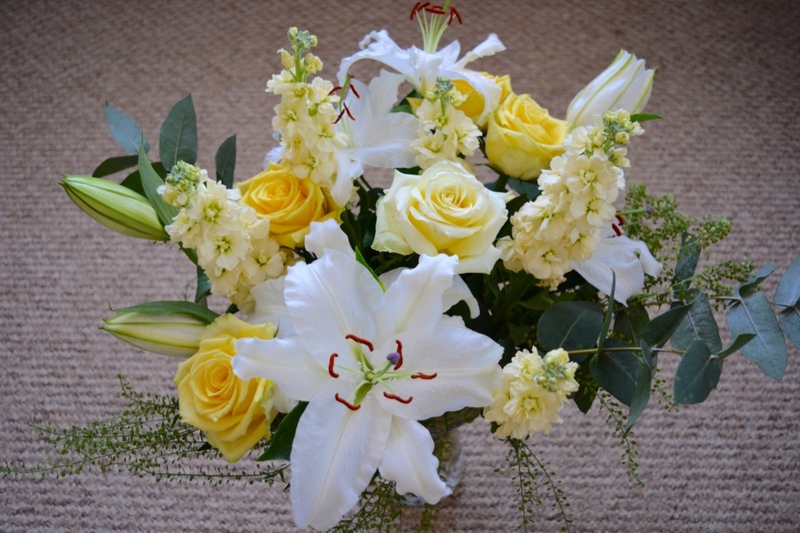 It is a vibrant bouquet of yellow roses, white lilies and scented stocks. The flowers looked incredible and the bouquet was massive, I am still in shock over how big they were. I originally thought the vase I had would be too big but it ended up being just about right. My Letterbox flowers last for nearly two weeks, which is impressive and just goes to show they are of good quality and you truly get what you pay for. 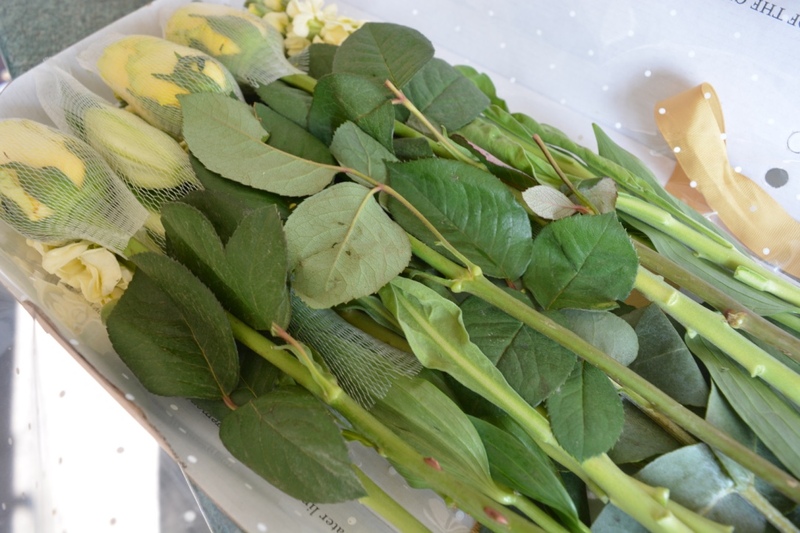 The Milly bouquet of flowers costs £30 and considering the size + durability, it is well worth the price. I got them just before Easter and all the family I had round over Easter weekend could not stop complementing how pretty they were and where I got them from. 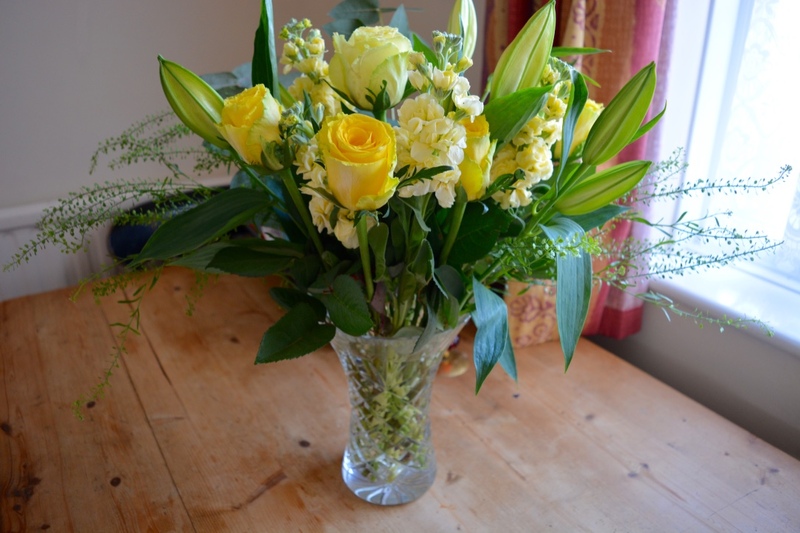 I could not recommend them more and miss having flowers in the house, they truly do brighten up room. I will definitely be ordering some soon!